Wi-Fi hotspots in coffee shops, libraries, airports, hotels, universities, and other public places are convenient, but they’re often not secure. When using a hotspot, it’s best to send information only to websites that are fully encrypted. You can be confident a hotspot is secure only if it asks you to provide a WPA password. If you're not sure, treat the network as if it were unsecured. Encryption is the key to keeping your personal information secure online. Encryption scrambles the information you send over the internet into a code so that it’s not accessible to others. When using wireless networks, it’s best to send personal information only if it’s encrypted – either by an encrypted website or a secure Wi-Fi network. An encrypted website protects only the information you send to and from that site. A secure wireless network encrypts all the information you send using that network. If you send email, share digital photos and videos, use social networks, or bank online, you’re sending personal information over the internet. The information you share is stored on a server – a powerful computer that collects and delivers content. Many websites, such as banking sites, use encryption to protect your information as it travels from your computer to their server. To determine if a website is encrypted, look for https at the beginning of the web address (the “s” is for secure). Some websites use encryption only on the sign-in page, but if any part of your session isn’t encrypted, your entire account could be vulnerable. Look for https on every page you visit, not just when you sign in. 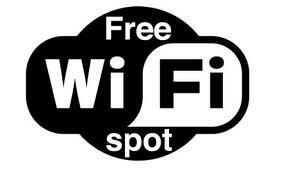 Most Wi-Fi hotspots don’t encrypt the information you send over the internet and are not secure. If you use an unsecured network to log in to an unencrypted site – or a site that uses encryption only on the sign-in page – other users on the network can see what you see and what you send. They could hijack your session and log in as you. New hacking tools – available for free online – make this easy, even for users with limited technical know-how. Your personal information, private documents, contacts, family photos, and even your login credentials could be up for grabs. An imposter could use your account to impersonate you and scam people you care about. In addition, a hacker could test your username and password to try to gain access to other websites – including sites that store your financial information.